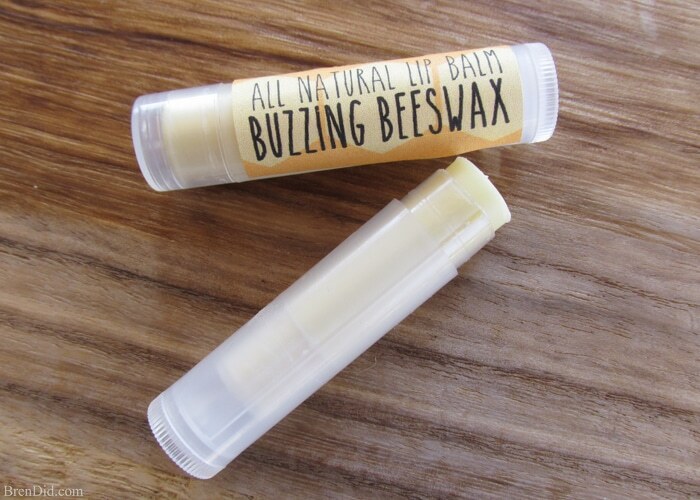 This easy beeswax lip balm recipe is identical to store bought lip balm for just $0.59 a tube. Learn how to make it today! 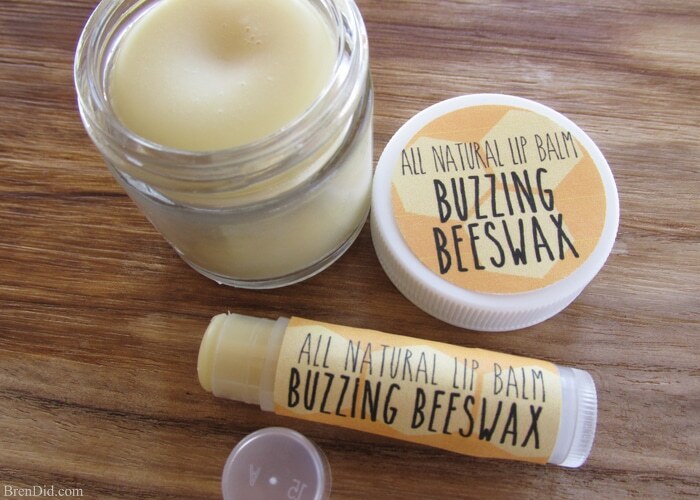 I love all natural beeswax lip balm like Burt’s Bees. It feels amazing on your lips, works as long as synthetic products and has a great tingly sensation when going on. 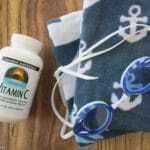 A half empty tube of left in a swim bag to rot. One melting in the backseat of my car. Countless tubes drowning in the washing machine. Each tube I discover makes me cringe and remember how expensive all-natural organic lip balm can be. 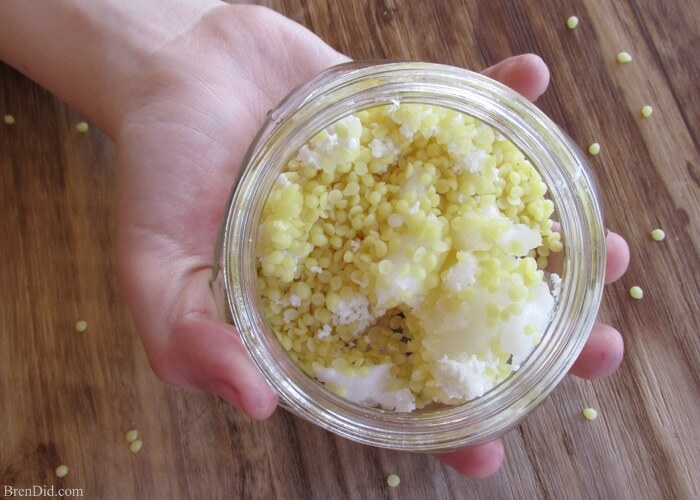 Luckily, I discovered that making your own lip balm is VERY easy. You get a great tingling sensation from the peppermint oil, it moisturizes well, it is organic, and it is CHEAP! 1. 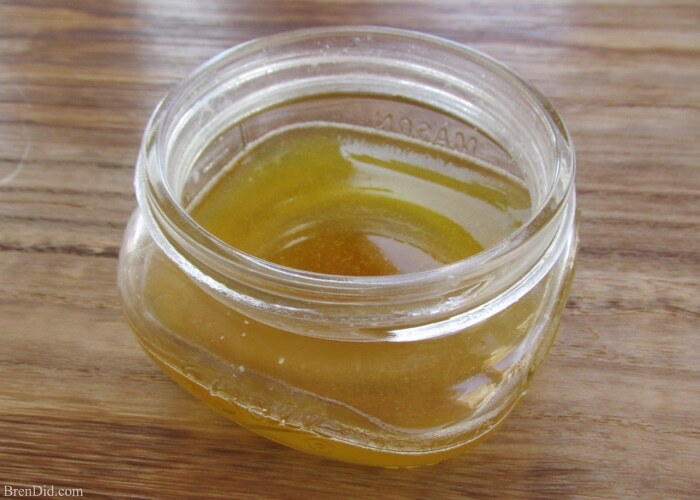 Measure your beeswax, coconut oil, and mango butter into a glass or metal container. I like to use a Mason jar. 2. Place the jar into a sauce pan filled with about 1.5 inches of water and heat the water to simmering. Stir gently until the beeswax is completely melted. (Do not allow the water to boil and do not get water into the mixture). 3. 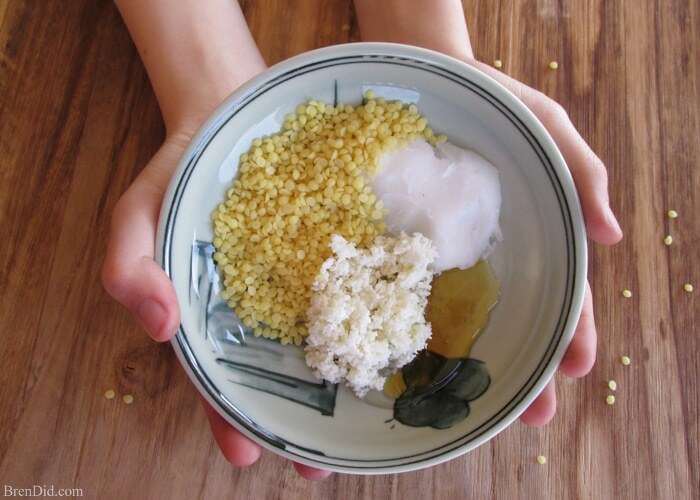 Remove the container from the pan and quickly stir in the honey, Vitamin E and essential oils. 4. 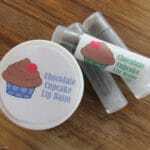 Carefully pour the lip balm mixture into tubes or lip balm pots. 5. 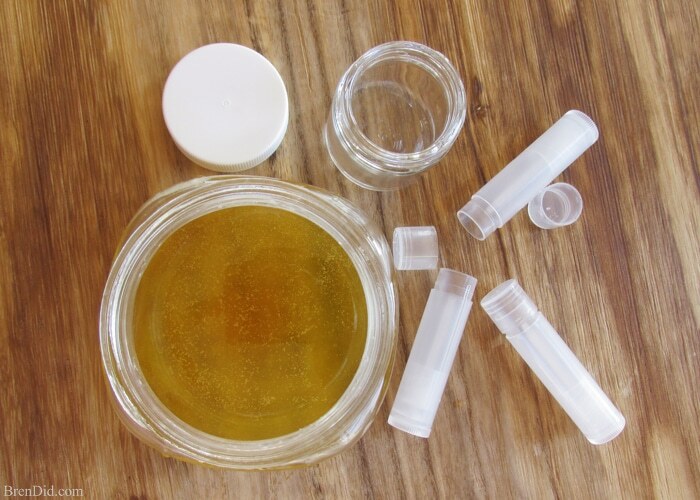 OPTIONAL – Reserve a teaspoon of lip balm mixture for leveling your containers. 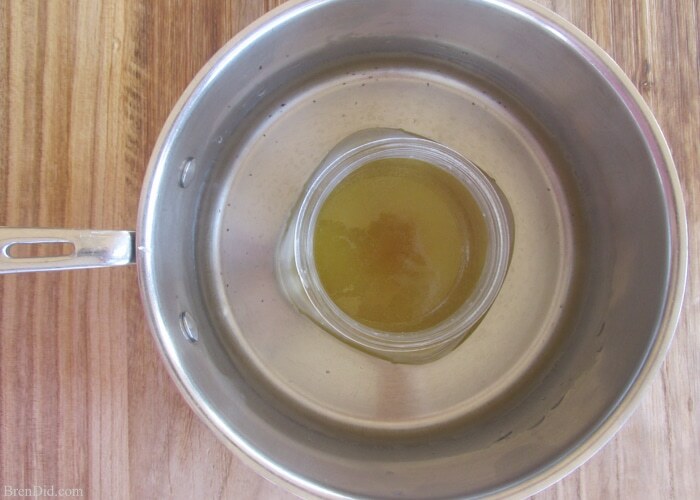 Return Mason jar to the hot water (pan off the heat, the water will be warm enough to keep the lip balm melted). 6. 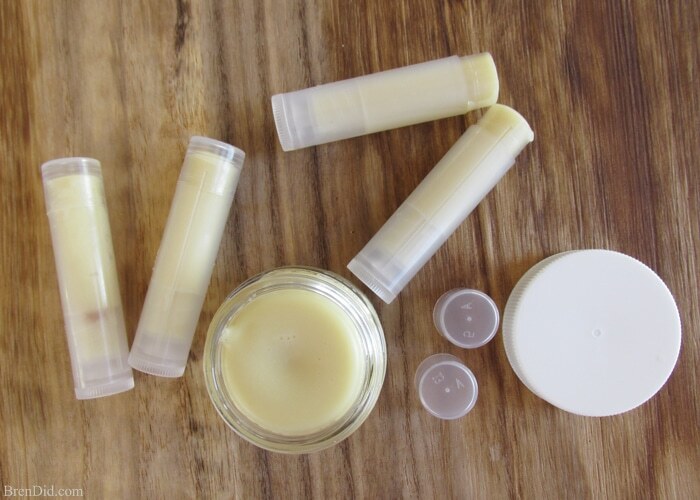 Allow your lip balm to cool to room temperature, add a label from my free printable library and enjoy! 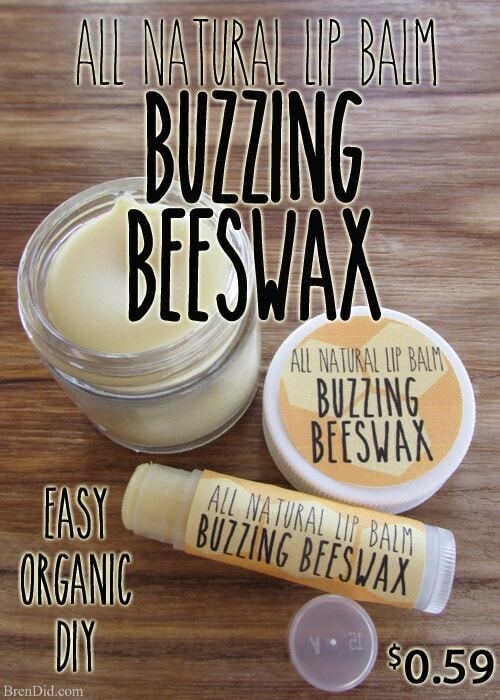 A 0.15 ounce tube of my old organic beeswax balm cost between $2.50 and $3.00 depending on where it is purchased. 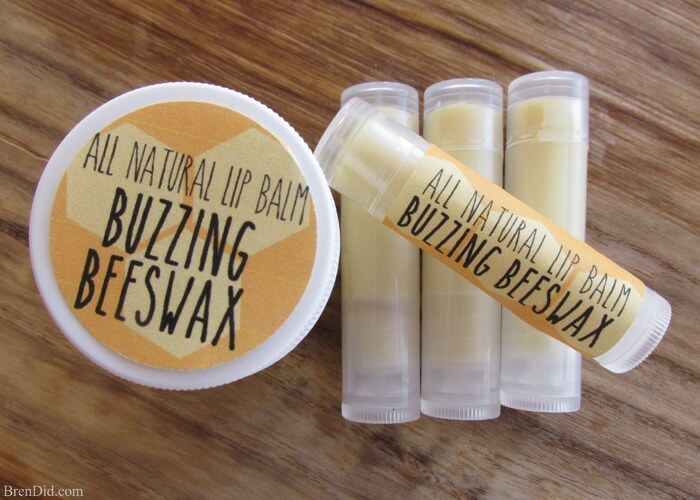 NEW Version– A 0.16 ounce tube of my Homemade Organic Beeswax Lip Balm costs about $0.59. That's a savings of 76%! Make sure to download my free printable labels. They add a special touch to homemade products. 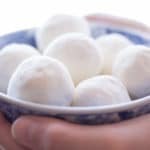 Plus, check out all my natural body care DIY projects including Vanilla Cupcake Lotion Bon Bons and Chocolate Cupcake Lip Balm. Hi there! 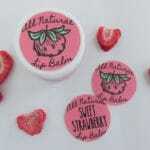 Love that you shared this for me to try..
Would you mind sharing how long can these lipbalms last? 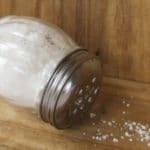 How do I know if it’s no good anymore? Mine last at least 6 months. You can store unused balms in the fridge for longer shelf life. If they start to smell or look differently they should be tossed. Which other butter may I replace instead of Mango butter?. In my town do not sell that one 🙁 . I have read that you use in many of your recipes the Mango butter. I woukd like to know wich ones can I use that work the same way. You can use cocoa butter in place of mango butter in the lip balm. Shea butter can also be substituted but I wouldn’t use it in lip balm. Good luck! Hello, can the Mango Butter be replaced by Shea Butter? Crystal, you can use shea butter in place of the mango butter however it will change the scent/flavor of the lip balm a tiny bit. Shea butter is naturally more scented than mango butter. Thanks for the information and tutorial. Where are you purchasing the ingredients in such small quantities and have you tried different essential oils? Lee Ann, I buy a lot of my supplies on Amazon. I buy larger quantities, the measurements reflect just this recipe. I buy about 8-16 oz of beeswax at a time (for example).